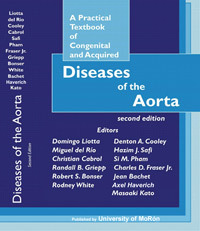 The book provides in depth-coverage: basic aspects,clinical anatomy, physiology, normal and disordered aortic structures and function at the cellular molecular and genetic levels (chapters 1 to 9); diagnostic studies (chapters 10 to 12); natural history, prognosis and clinical aspects in diseases of the aorta (chapters 13 to 20). It discusses current developments, including intra-aortic stents and percutaneous methods (chapters 21 to 26). Surgery illustrates step-by-step surgical procedures like the repair of the aortic root, the ascending aorta, the subaortic outflow tract, the aortic arch, the descending aorta, thoracoabdominal aortic aneurysm, single-stage replacement of thoracic aorta, abdominal aortic aneurysm, cerebral perfusion in aortic arch, spinal cord protection, congenital diseases of the aorta(chapters 27 to 53). From the science our aim to understand the frightening world of today seems as if we were floundering in a swamp or gasping for air in the desert. However, it is here —in swamp or desert— that we must fight with bleeding footsteps our own war from the wisdom of modern science to give material support and spiritual compassion to the sick without discrimination in race and religious belief. Our aim must be to have them understood spiritually, for only this understanding and intelligence make truth be gained. We should examine ourselves and learn what the affection and purpose of the heart are, since this is the only way we can learn what we can honestly do to help in the marasmus of this century’s world. However, we should remember the words of John Adams, written in February 1776— “We cannot ensure success, but we can deserve it”. When the smoke of battle clears away of our own life we will discern the good that we have done.